« What happened To The Work Ethic? This entry was posted on March 22, 2009 at 1:57 pm and is filed under Uncategorized. You can follow any responses to this entry through the RSS 2.0 feed. You can leave a response, or trackback from your own site. No thanks. Just give me a ‘shot’ of Jack Daniel’s old No. 7 Tennesee sour mash whiskey. But once in awhile I will imbibe the fruit of (whose that Roman god, now ?) 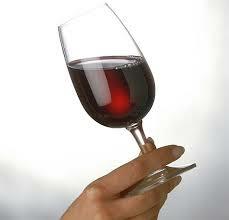 a red wine for the anti-oxidants (from the skin of the red grapes). Here’s my current fav. Gnarly Head, Californian Old Vine Zin. Vintage 2006. Great wine and is usually priced at less than $19. Gnarly Head.. Carlifornian.. I love a Zinfandel.. thanks, I’ll be sure and try that..